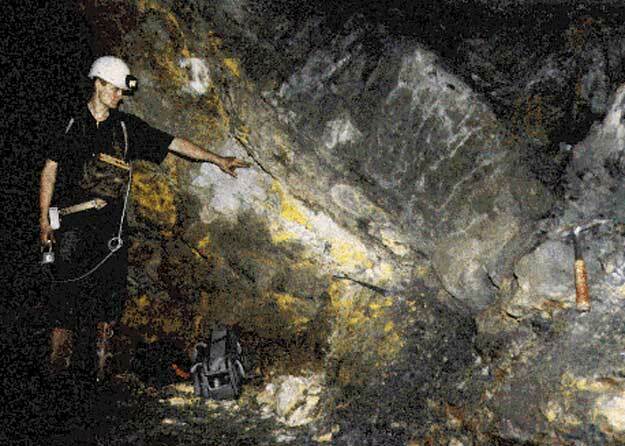 Explanation: The remnants of nuclear reactors nearly two billion years old were found in the 1970s in Africa. These reactors are thought to have occurred naturally. No natural reactors exist today, as the relative density of fissionable uranium has now decayed below that needed for a sustainable reaction. Pictured above is Fossil Reactor 15, located in Oklo, Gabon. Uranium oxide remains are visible as the yellowish rock. Oklo by-products are being used today to probe the stability of the fundamental constants over cosmological time-scales and to develop more effective means for disposing of human-manufactured nuclear waste.